The album showcases many iconic King Crimson pieces performed live by this line-up for the first time – some being played live for the first time ever, including: “Islands,” “The Lizard Suite,” “The Errors,” “Fallen Angel,” “Cirkus” & more..
2) King Crimson is a band that's best experienced live & if you can’t be there, the live album is the next best thing. 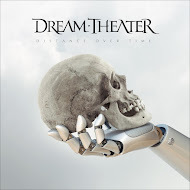 Those fortunate to have recently witnessed the band live will surely want to also own this new live release. 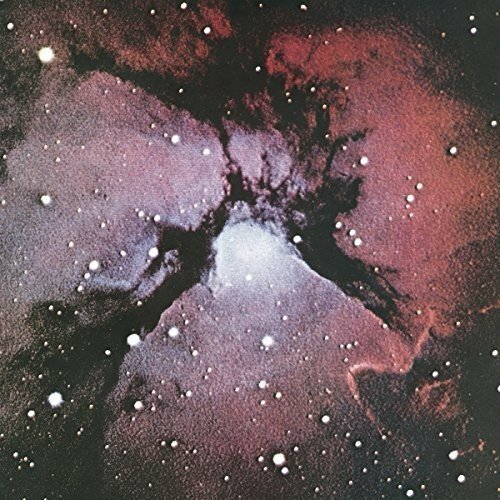 “King Crimson - Sailors' Tales (1970 – 1972)” - Limited Edition 27 Disc Boxed Set containing 21CDS/4Blu- Rays/2DVD (all audio) will be released on November 3, 2017. 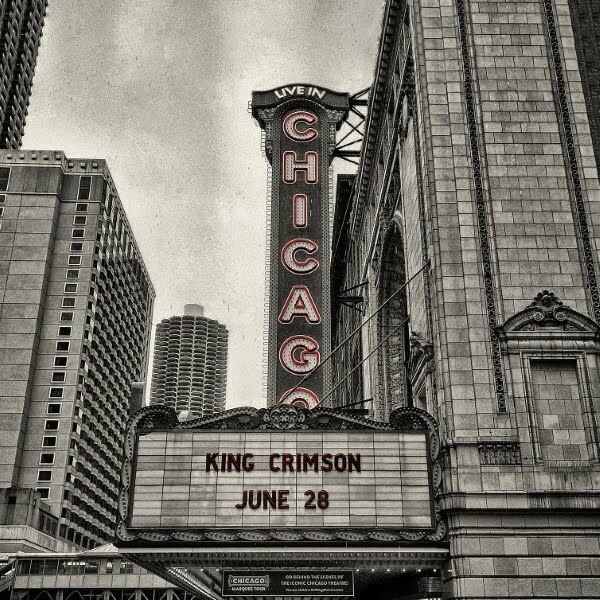 With much of the material from “In The Wake Of Poseidon,” “Lizard” and “Islan ds” now being performed by the current King Crimson line-up (2014 - to present), it is only in recent years that the wider world has begun to realise what fans have always known: this era's recordings are as vital as any other segment of the King Crimson catalogue. 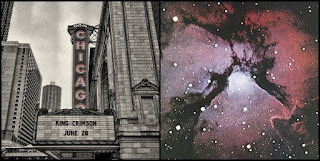 Recorded between the dazzling impact of “In The Court Of The Crimson” in 1969 and the startling reinvention of the band in 1973's “Larks' Tongues In Aspic,” this boxed set documents a crucial period in King Crimson's history and shows it to be brimming with innovation, experimentation, and boundary-pushing energy. • 3CDs feature Steven Wilson & Robert Fripp stereo mixes of “In The Wake Of Poseidon” (1970), “Lizard” ( 1970) & “Islands” (1971) + additional tracks. • “Islands” Blu-Ray: also contains the following concerts in stereo Zoom Club (4 shows), Marquee Club, Plymouth, Glasgow, Detroit all from 1971. 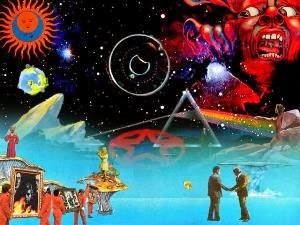 • “Earthbound Tour”: Blu-Ray features an expanded version of the original album, Summit Studios gig in Stereo & Quadraphonic (newly mixed), the “Schizoid Men” sequence from the “Ladies of the Road” album, 2 newly discovered concerts in hi-res stereo & every existing soundboard concert recording from the 1972 US tour: Wilmington, NYC (2 shows), Chicago (2 tracks only), Detroit, Jacksonville, Orlando, Pittsburgh, Milwaukee, Peoria, Indianapolis & Denver (2 shows). • 2 DVDs feature the expanded “Earthbound”, “Summit Studios,” “Schizoid Men,” “New York 1972” & the recently discovered live concerts. 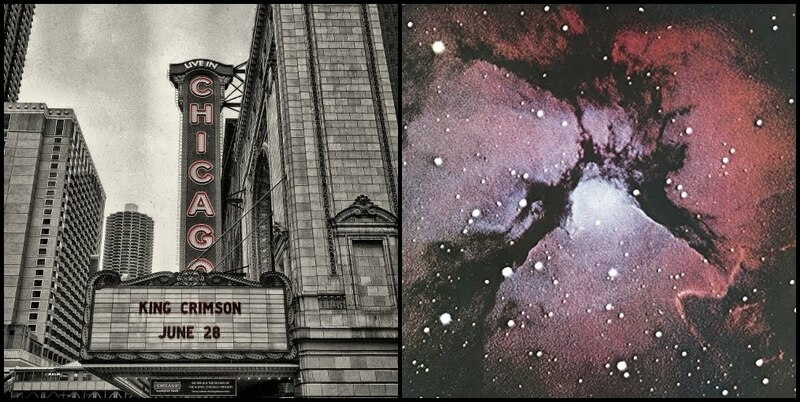 King Crimson's “Official Bootleg: Live in Chicago, June 28th, 2017” and “King Crimson - Sailors' Tales (1970 – 1972)” - Limited Edition 27 Disc Boxed Set can be pre-ordered via the shops at www.schizoidshop.com as well as available through traditional retail outlets. The US based Schizoid Shop has recently added a range of new shirts and other band-related merchandise, and offers weekly specials including offers to win free tour tees. 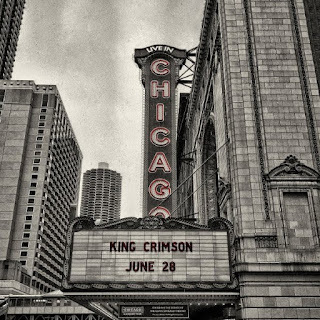 Catch King Crimson's US tour Fall 2017! 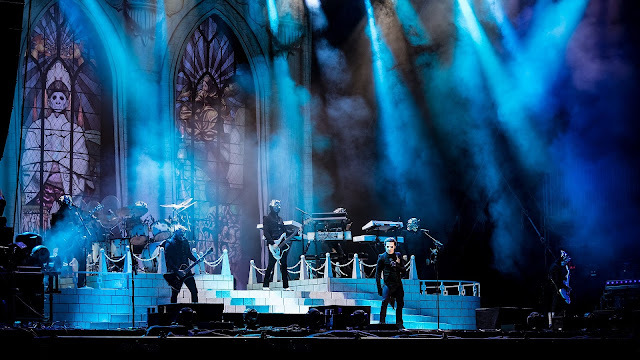 As well as standard tickets, the band's label, DGM, also has announced sale of VIP Royal Packages, limited to just 60 per show. 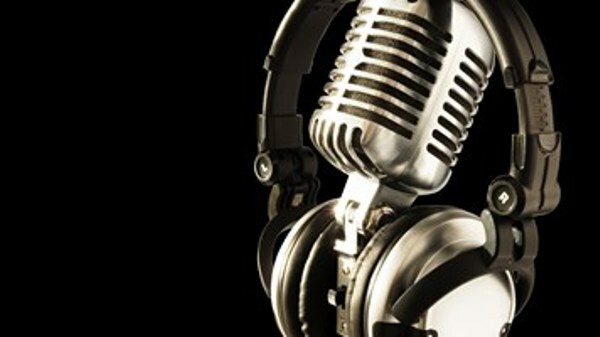 Details can be viewed at the label's interactive and recently redeveloped website, www.dgmlive.com.